Restaurants began periodically reopening Thursday and Friday after federal agents executed search warrants at the businesses and took several people into custody. The Homeland Security Investigations unit with the U.S. Immigration and Customs Enforcement agency conducted an enforcement operation in State College Thursday, which targeted a number of restaurants. As of noon Friday, authorities had not released any specific information related to the purpose of the investigation. "This is still an ongoing HSI investigation," Nicole Navas, spokesperson for ICE and HIS, said in an email Friday afternoon. "There is nothing of the public record as criminal charges have not been filed. In order not to compromise this ongoing criminal investigation, no additional details are available at his time." Throughout Thursday, authorities participating in the operation led several males and females in handcuffs into the State College Police Department. Employees at the targeted restaurants were still baffled Friday by the sudden search warrants and detainment of employees. Michlle Jiang, manager of Hundred Degrees Hot Pot, My Thai and Fuji & Jade Garden located in the Westerly Parkway Plaza, says she does not know why federal agents served warrants at the restaurants where they seized paperwork. "I wish I had some explanation but so far nothing has been said or given to us," Jiang says. Jiang's family owns all three establishments. She says all of her employees detained Thursday have since been released. "They're not criminals. They're good people," Jiang says. The three restaurants reopened at different times between Thursday and Friday, following health inspections. 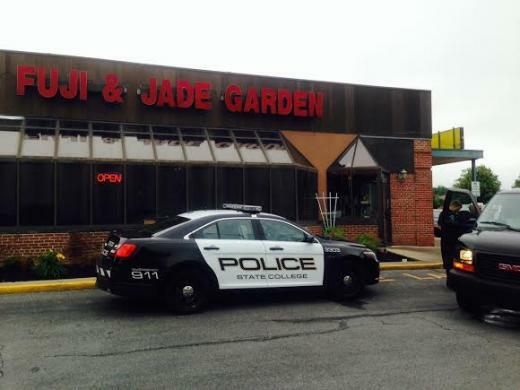 Jiang says health inspections are required following the execution of a search warrant. The College Buffet on North Atherton Street was also open for business Friday. Employee Kaitlyn Lin says employees are also confused by Thursday's events. Lin says federal authorities have not explained the purpose for the operation. "We want answers," she says. Penang Asian Fusion Cuisine on North Atherton and the China Dragon on Allen Street were open for business Friday, too. An employee at Penang's declined to comment due to a language barrier. No one was available to comment at China Dragon. Customers were surprised to hear federal agents are investigating local restaurants, including China Dragon, where Vivek Yadav and his friend pick up lunch at least twice a week. "I was surprised because usually you see customs agents at airports. You don't see them here. It was strange," says Yadav. Yadav and his friend both say they've always had pleasant experiences at China Dragon. 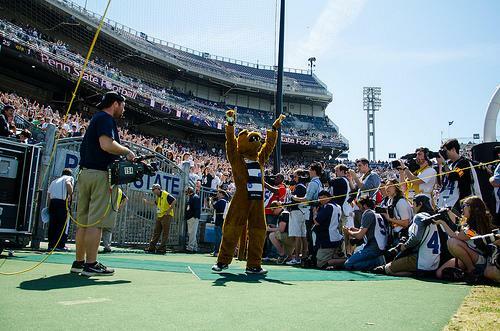 Penn State's student section has always been a staple of the program's modern success. Maybe students don't always show up on time, but at the end of the day they're considered some of the best in college football for a reason. But there is no guarantee that it will always be that way.